The property was remodeled in 2011 with new roof, new windows and new kitchen and bathroom in 2009. The property offers a private master suite with a 3 piece washroom that is located on the lower level. The lower level also offers a family room, media room and a laundry room. The main floor has a remodeled kitchen , hardwood floors in living room , 3 bed rooms and a bath room. The exterior of the real estate listings for sale in 43228 have two car garages with work space, and a fenced in yard. This real estate listing are minutes away from downtown which offers world class shopping, restaurants, and entertainment. I 270 is down the street and allows you access to anywhere in the city of Columbus. Whether you’re just starting the home buying process or have real estate listing nightmares; Central Ohio Real Estate Investment LLC can help you find-real-estate in Central OH. 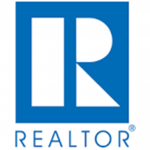 To receive a free consultation from a licensed Realtor schedule a appointment by providing information to the right.